Happy Monday! I love Mondays in the summer. Particularly because of the lack of school. Hehe. I found a Hungry Girl 1-2-3 cookbook on my shelf the other day, and I’ve been experimenting with new recipes. 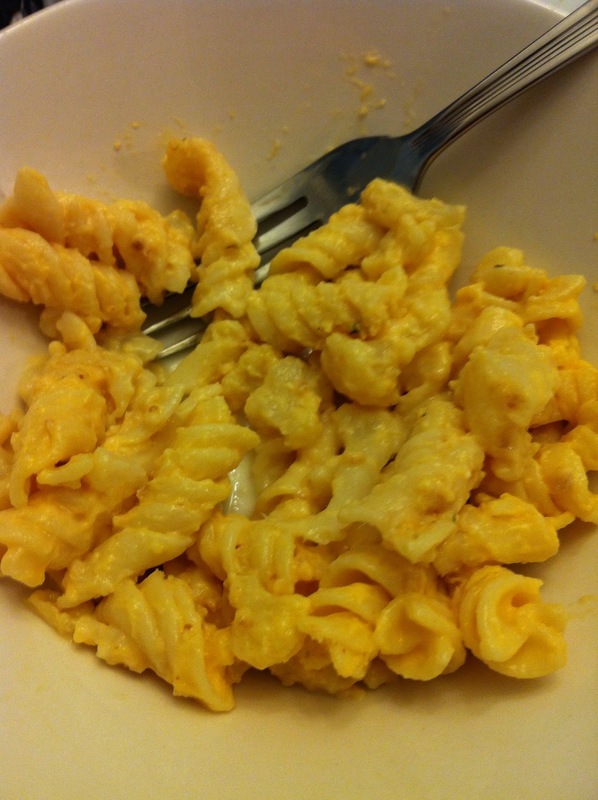 My favorite has been the Mac & Cheese. When I was little I loved the Kraft Mac & Cheese. I would probably eat 3-4 cups just for lunch (cringe!). Now, while I still know it is delicious, I am disgusted by the chemicals and the lack of nutrition. I used this recipe with cauliflower instead of broccoli. 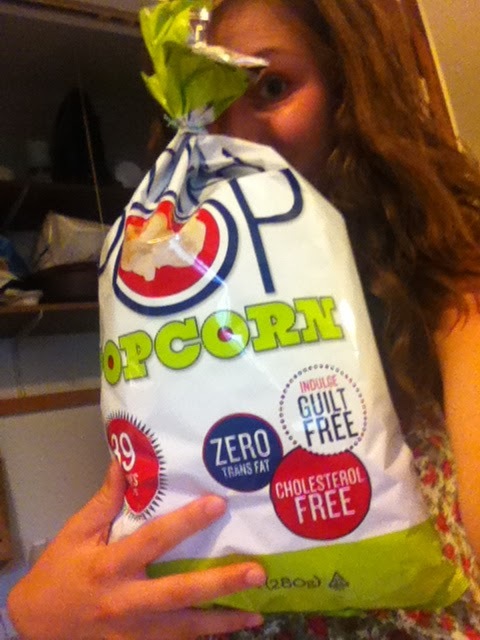 I love that it is so much more nutritious than the old Kraft stuff (: It tastes so much better too, much creamier and “real”! I found this recipe in the same Hungry Girl cookbook. If you haven’t checked out these cookbooks, you seriously should! Especially the 1-2-3. I love how easy the recipes are. 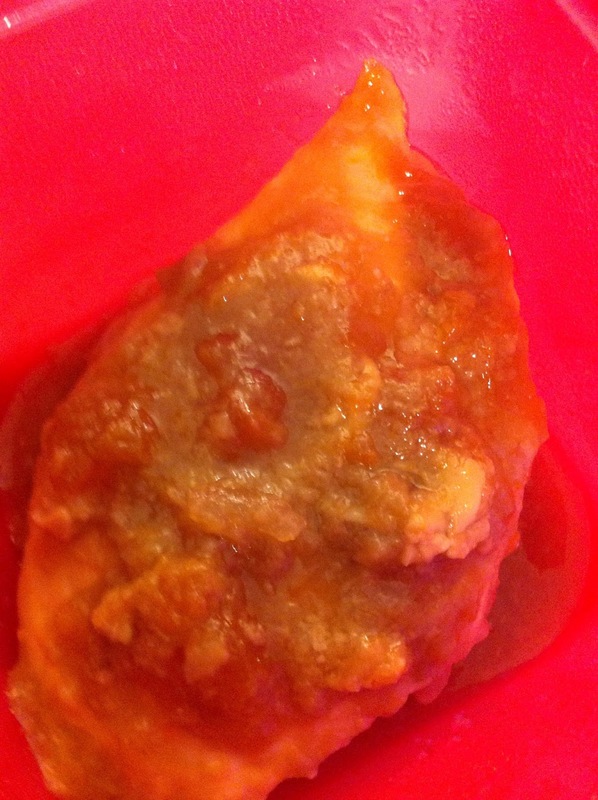 I used real apricot preserves instead of the sugar-free kind, so the nutrition information was off, but I don’t care. It was good, but I don’t think I’ll be making it much. There are other chicken recipes I like a bit more, that make the chicken more tender. Today I tried something that I found on pinterest called a Cucumber Salad. It reminded me of Portuguese Salad that my dad used to make. I have no idea if that’s actually a thing or just what my family called it… It was tomatoes and onions and olive oil put together and kept in the fridge. 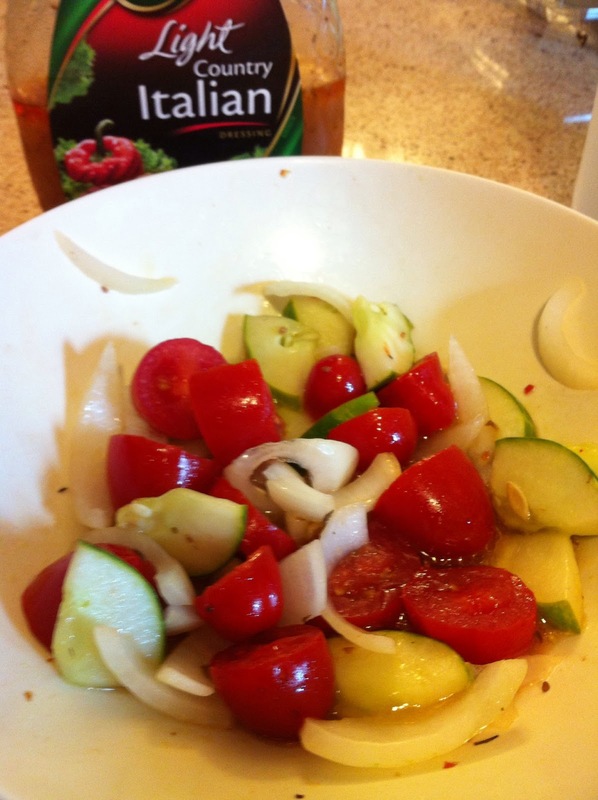 I had a cucumber that was getting pretty dry, so I cut that up, cut up some mini tomatoes (from the farmer’s market!) and chopped up an onion. Then I used some light dressing we had in the fridge, a bit of olive oil for healthy fat, and voila! This may be my new favorite food. When you put my favorite veggies in a fancy salad, I get excited. I love this stuff. And how easy is it to make?? I keep it in the fridge because it’s like 90 degrees outside and well, I like cold things. I think I’m obsessed with this stuff. A CUP FOR 39 CALORIES yes please. I have no idea if this is healthy at all but it’s not the worst thing I could eat and it’s absolutely delicious. Just the perfect amount of salt (a very little bit). Yum yum yum. 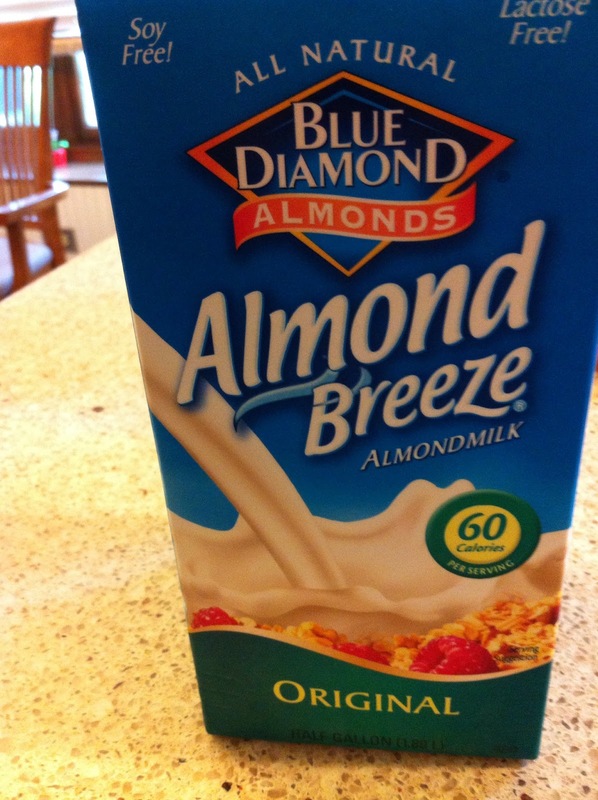 Have you tried almond milk before?? I haven’t, but I really like this stuff! I prefer the taste over plain milk. I think it’s better for you in some ways? I had intentions to make Overnight Oats or recipes and stuff but it hasn’t happened yet. Will do. Today I decided to stop being cheap and finally buy some protein powder. After reading some reviews, I settled on Tera’s Vanilla Whey powder. I spent all day trying to get Drugstore.com to let me use a coupon, and then gave up, and found Natural Healthy Concepts. I have never ordered from them before, so hopefully this goes well! I was able to get quite a deal with free shipping from them. I really hope I’ll like this! P.S. I am so proud of that pinterest widget. Hopefully you all can see it!